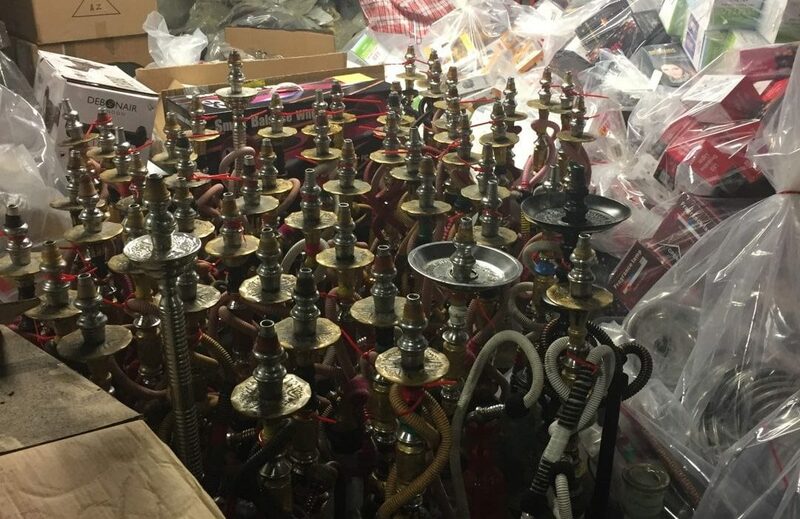 Two establishments on Manchester’s ‘Curry Mile’, Dubai Café and Wanasah Café, breached planning regulations resulting in more than 100 pipes and 30 kilograms of shisha tobacco being seized. Landlords of three other premises, Layali Lounge, Marmara and Cavalli Lounge, also in the Wilmslow Road area, have evicted tenants in order to avert similar illegal ventures. Failure to prevent this could result in unlimited fines. Shisha, or hookah, originates from India and has been found to have a multitude of negative health effects, including increased risks of heart disease and cancer. Shisha cafés themselves are not illegal, but the correct planning permission must be obtained. This has been the case since the 2007 ban preventing smoking for enclosed public spaces. According to the law, if the premises have a ceiling then at least half of the wall space must be open if people wish to smoke amongst those premises. The outbreak of illegal shisha cafés has been attributed to the cafés replacing premises that were previously restaurants without acquiring the relevant permission. Previously, owners were able to avoid liability through not knowing the law but due to advancements in planning enforcement powers this is no longer a valid excuse. Executive Member for the Neighbourhoods, Councillor Rabnawaz Akbar, said that “for too long landlords have been able to hide from their responsibilities” and that he’s “pleased the loophole has now been closed”. A 2005 World Health Organisation study revealed that one hour of shisha smoking results in inhalation of the same amount of smoke equivalent from 100+ cigarettes. Clearly, the enforcement team are taking this problem seriously and the added onus on landlords will ensure illegal shisha cafés attain the correct permission or are otherwise shut down.